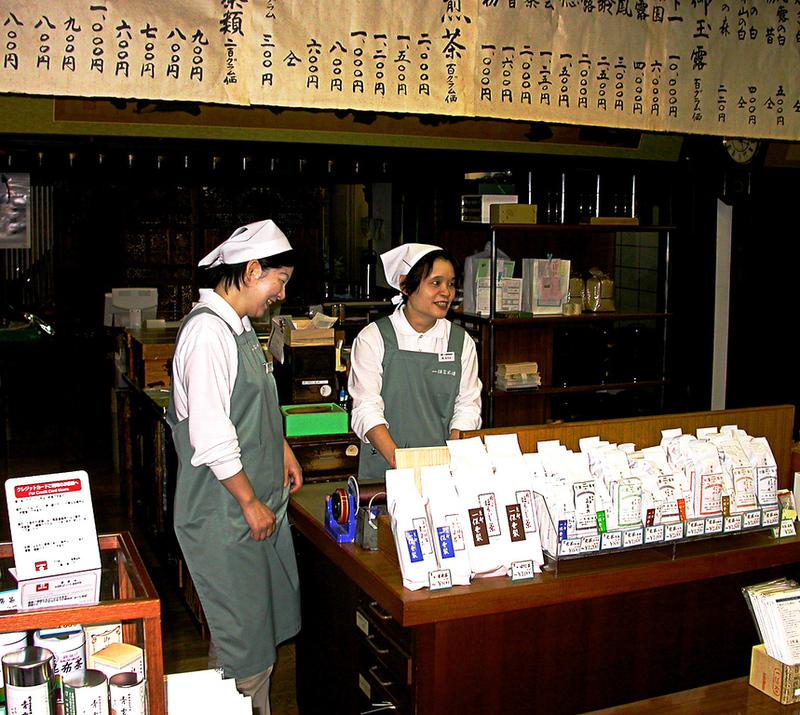 If you want a break from international coffee chains, why not try a real Japanese teahouse when you need a break? 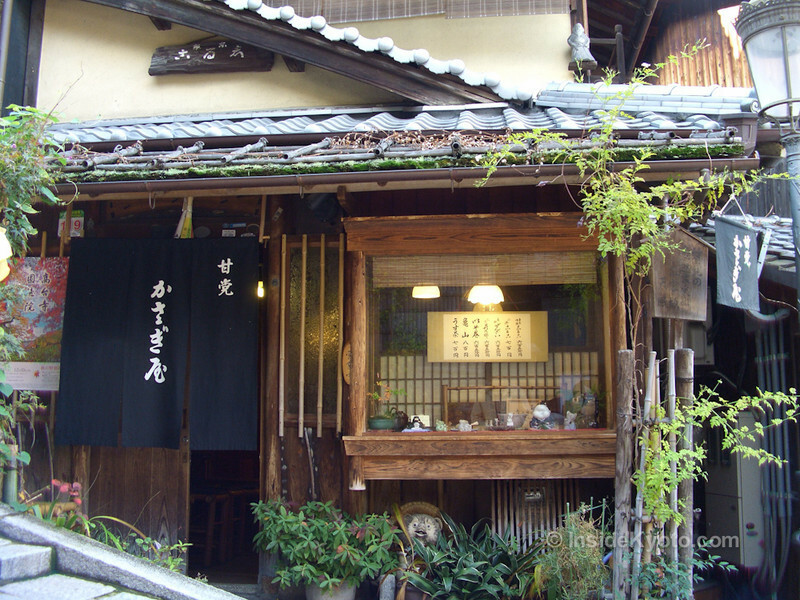 Here are our favorite teahouses in Kyoto. Starbucks has really taken over Kyoto and you’ll see that ubiquitous green sign all over town. And, they’re always filled with foreign tourists. It makes me wonder: Why travel all the way to Japan just to patronize the same coffee joint you go to back home? You’ve come all this way to Japan, wouldn’t it make sense to try a real Japanese teahouse next time you need a break? 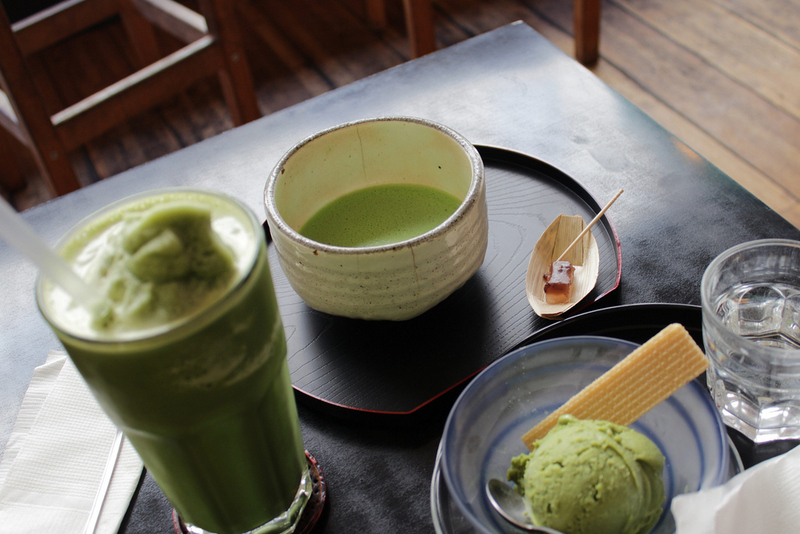 Japanese teahouses serve green tea in all its forms, starting with matcha. 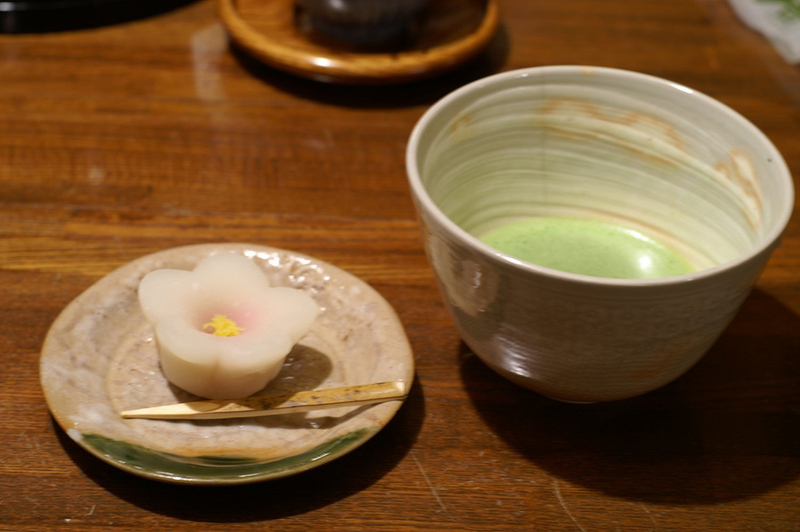 They also serve traditional Japanese sweets (wagashi), usually as a set that comes with a hot bowl of matcha. The combination of the slightly bitter tea and the bright sweetness of the wagashi is hard to beat. 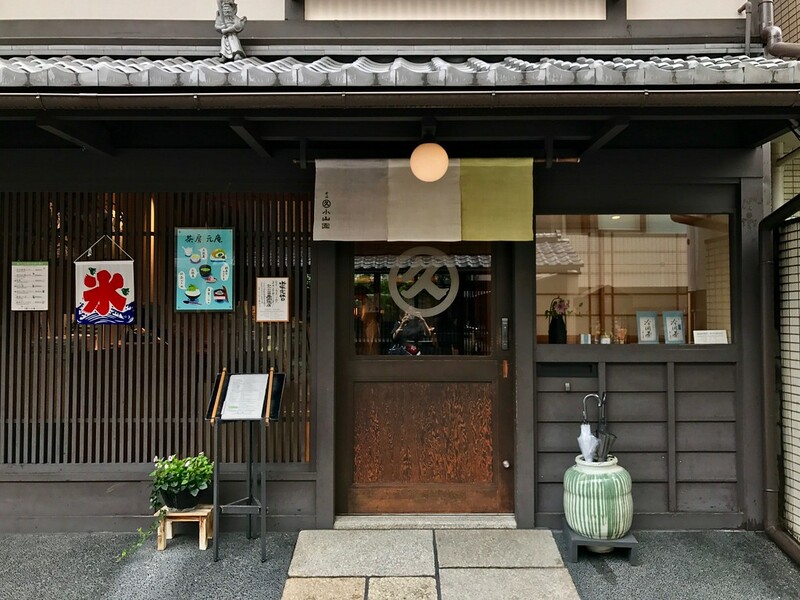 In summer, many teahouses also serve cooling treats like uji kintoki, which is a mountain of shaved ice saturated with sweet matcha syrup, usually with a few hidden goodies inside, like sweet adzuki beans and sweet mocha balls. This Korean-style teahouse is a bit of a departure from the other teahouses on this page, but it’s well worth checking out for its superb decorations, excellent (mostly) Korean tea, and healthy vegetarian-friendly cuisine. It’s just west of downtown. 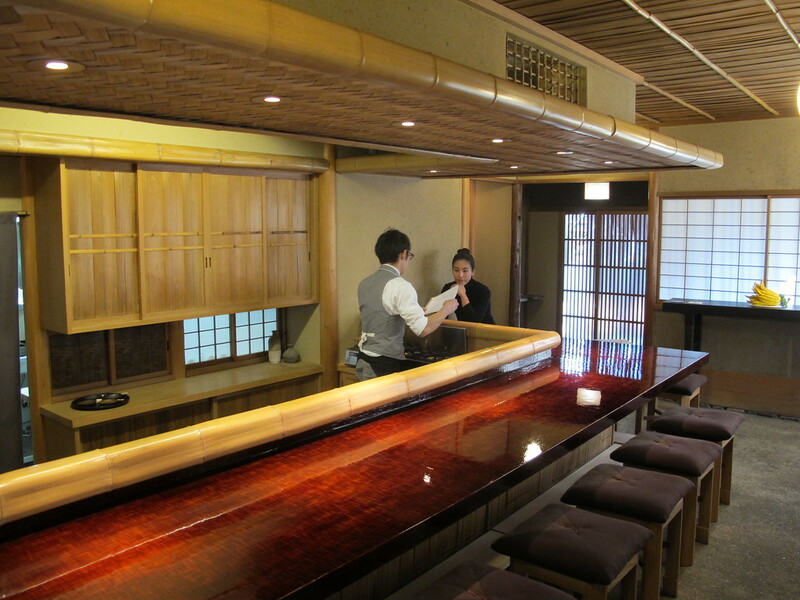 This elegant teahouse is a short walk west of the Kyoto Imperial Palace Park. It’s a superb place to relax with a book after exploring the park. For some great Japanese sweets and excellent green tea in quiet surroundings, this beautiful shop/gallery is a great choice. It’s a short walk northwest of downtown Kyoto. What About The Japanese Tea Ceremony? For information on where to experience a full Japanese tea ceremony, visit our Kyoto Tea Ceremony page.